Editor's Note: Critical Exposure students at H.D. 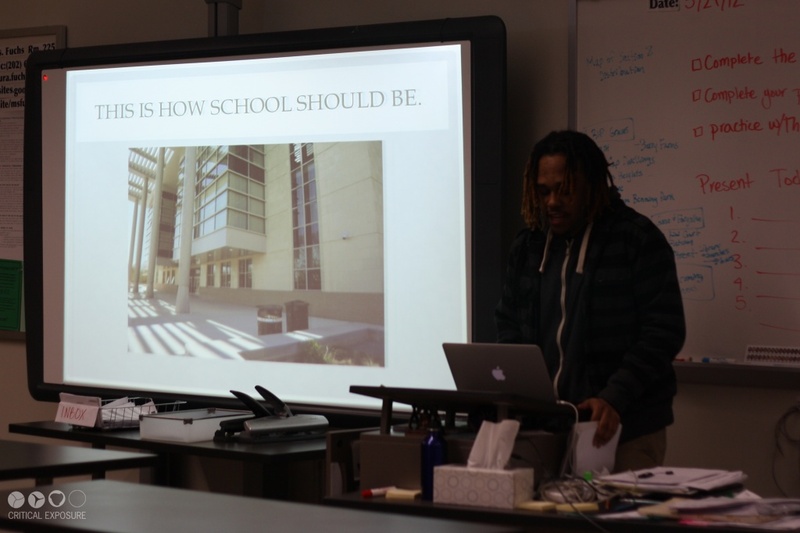 Woodson Senior High School used photography to document issues affecting students in D.C. At the end of the 3rd quarter, each student presented photos and an argument in an attempt to organize their peers around a single issue. Here Tahvian, 11th grade, presents on the high school drop-out crisis. His arguments formed the basis for the class's 4th quarter project to advocate for more equitable school disciplinary policies at H.D. Woodson. Editor's Note: Andrea used backlighting when taking this photo in order to preserve the anonymity of her subjects. Editor's Note: Andrea was suspended from school for 5 days for throwing a piece of bread at her friend during lunchtime. 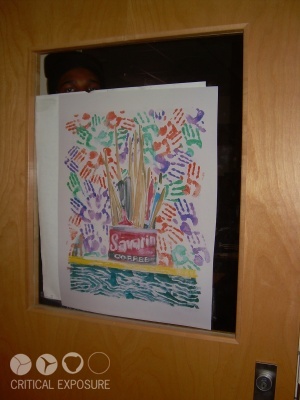 Editor's Note: Tahvian was suspended from school for 5 days for going to the band room when his teacher didn't show up for class. 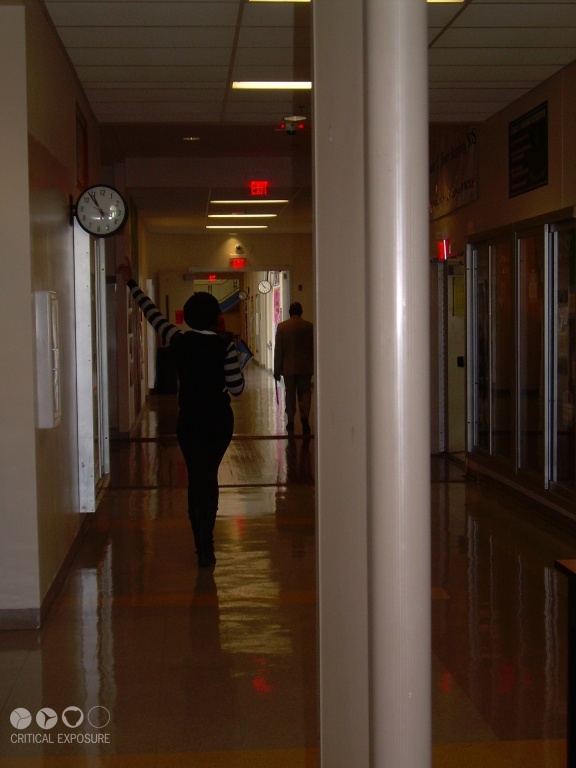 Editor's Note: Jordan took this photo of a student who was suspended for 5 days. 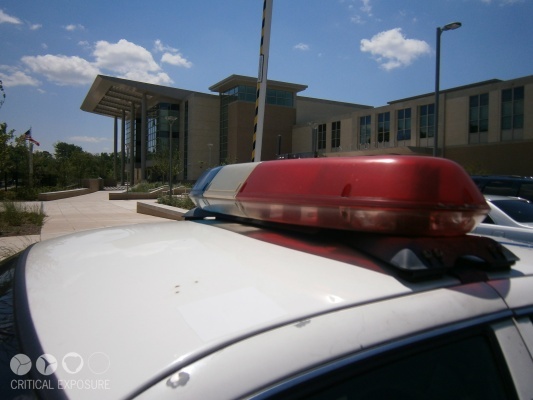 Editor's Note: Andrea used backlighting to shield the identity of two students who felt they had been wrongfully suspended. Editor's Note: Chanelle took this photo of her classmate, Romello, as he interviewed a student who believed she had been wrongfully suspended. Editor's Note: Mike took this photo during a photo walk around the school. 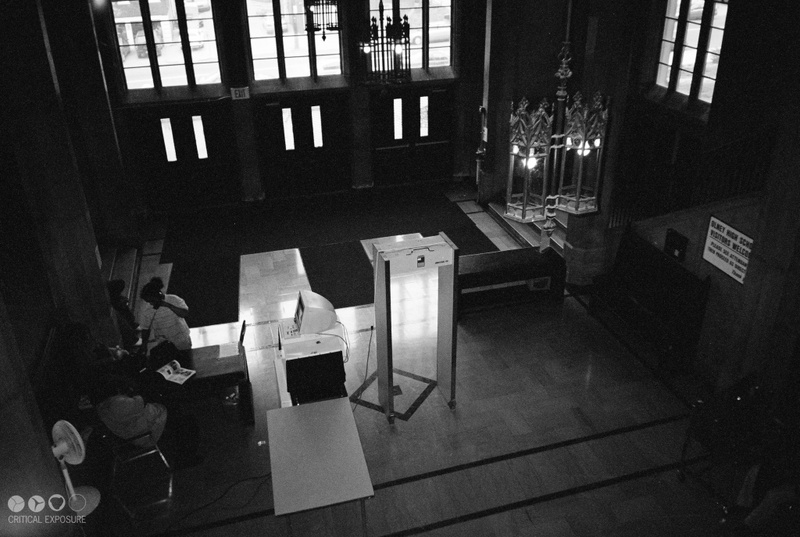 Editor's Note: Critical exposure students at H.D. Woodson Senior High School use their photos during a presentation to the Dean of Students. After sharing personal stories and providing student-led solutions to the school's harsh discipline policies, the Dean committed to holding monthly meetings with student leaders to receive student feedback on disciplinary policies in the school. This is a photo of students leaving school before it was actually over. The staff letting this happen is saying it's okay to not be in school and to drop out of school. Editor's Note: Students at H.D. Woodson document the zero tolerance discipline policies at their school. As I was walking by the classroom, this student caught my attention by being in the window during class time instruction. He wasn’t paying attention to anything and the teacher had to come over and tell him to get out of the window. 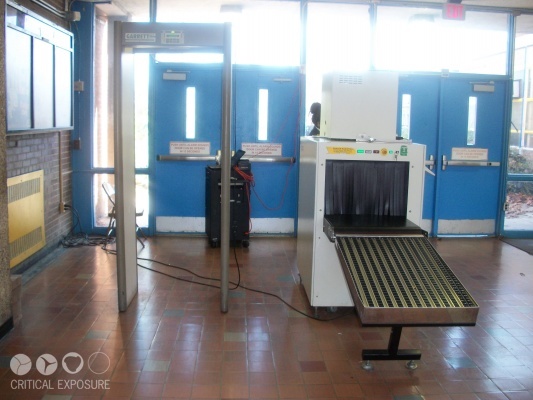 These photos are about the metal detectors. I took them in the morning, when students were coming into the school. I took the photos to show what we have to go through when we come to school in the morning. We have to take our shoes off, take our hats off, shake our dreads out, take everything out of our pockets…it takes too much time. We are late to class because we wait in line to go through the metal detector and then we have to gather all of our stuff back up and put all of our clothes back on. It makes me mad because other schools don’t have to go through all of this. We feel violated. We get stripped just to come into school. 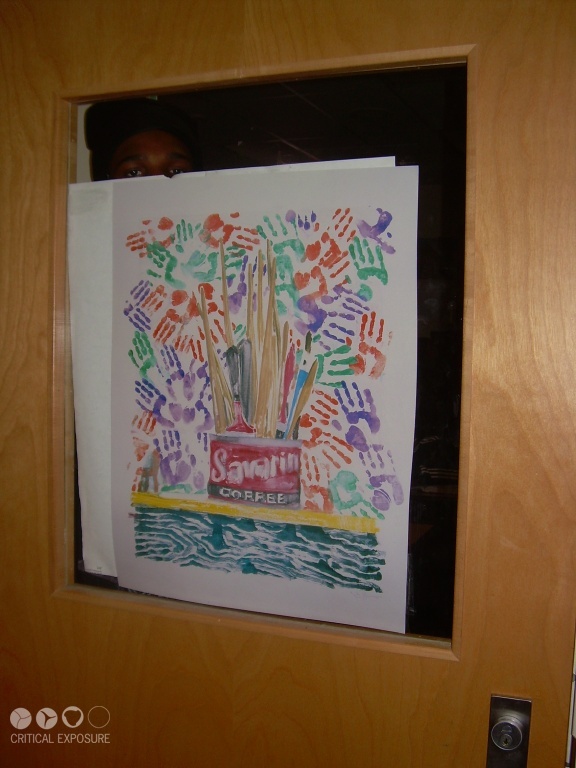 We are already in an alternative school, and being searched makes us feel like we’re in jail. I come to school because I want to come to school, but going through the metal detectors makes me not want to come because I have to take everything off, and it makes me feel bad because it reinforces the idea of us feeling like criminals…but we’re not, we’re students trying to get our education. I took these pictures during class, first period. 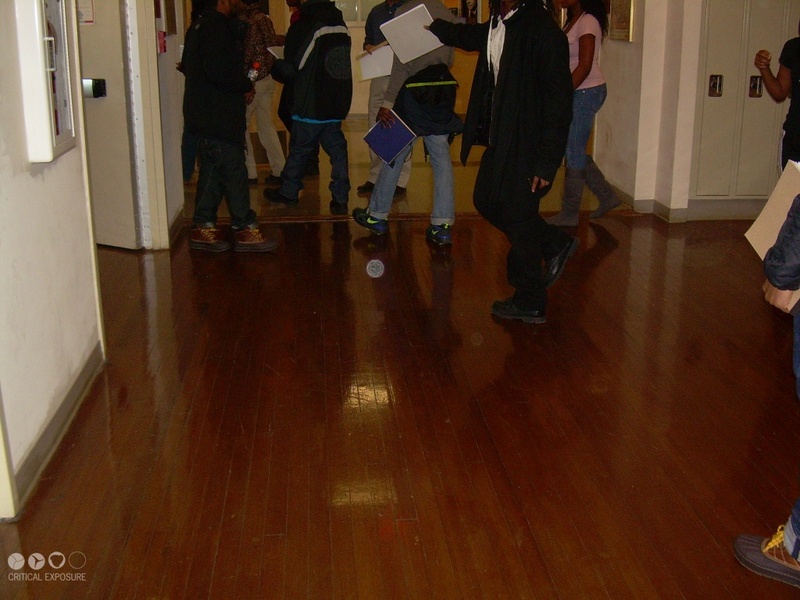 This photo of my fellow classmates shows them walking through the hall during class time instruction. There is no teacher to guide them to class. They are in the hall because of the extended time in class -- they get bored and restless and then they walk in the hallway or in someone else’s class or they talk on the phone. They miss quality instruction when they are roaming the halls. I think the students should get a 5 to 10 minute break during class to go to the bathroom or get some water. I think the students would stay in class if they had a break and they would be refreshed and probably pay better attention. I understand that we are not at an elementary school, but I would recommend that we have a break because 2 and a half hours of class straight is a lot!